Accused of unauthorized collaboration in college? Defense tips. This is when a student works with another person or group without permission from the professor. 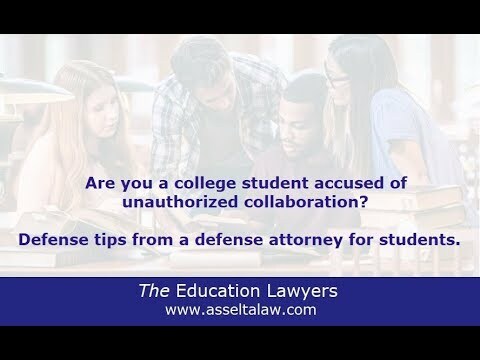 What should a student do if accused of collaboration? Read your syllabus and think about what the professor told you or did not tell you about working with other students. Read your handbook. This is where you will find the answer to what will happen if the professor refers the matter to the academic integrity office. Are you facing an academic integrity committee hearing? Hire us to help you prepare. The better prepared you are for the hearing the better chance for success. Need to appeal a sanction? Call us. We write student appeals.